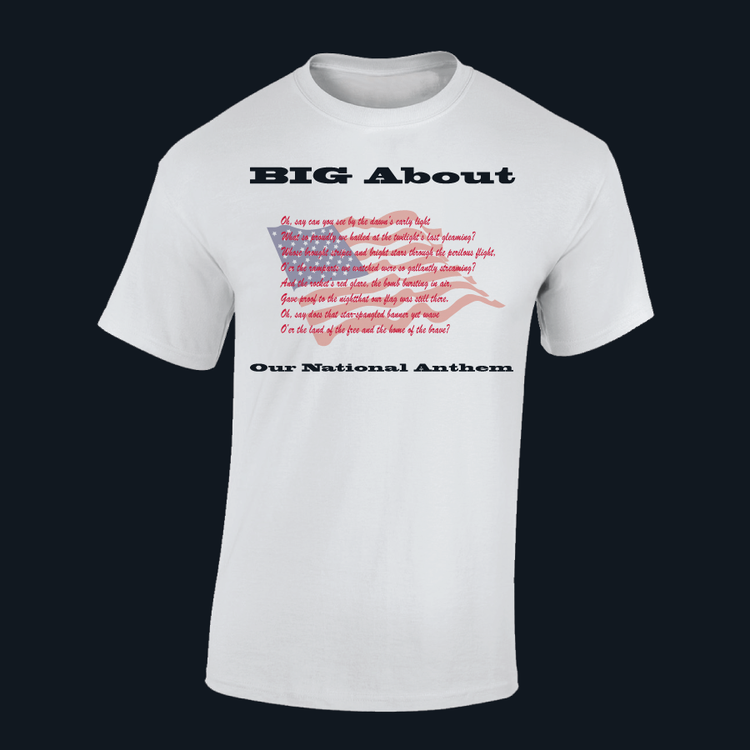 A Beautiful T-Shirt that celebrates our National Anthem. The beautiful print on the shirt has the the opening lyrics of our national anthem written over the flag. BIG About Our National Anthem. Great to wear daily or at events to show support and respect for our nation. Please allow 5 working days for processing the order and shipping time.